2. I passed my Korean driving test (only by the grace of God). As did Joe. 3. 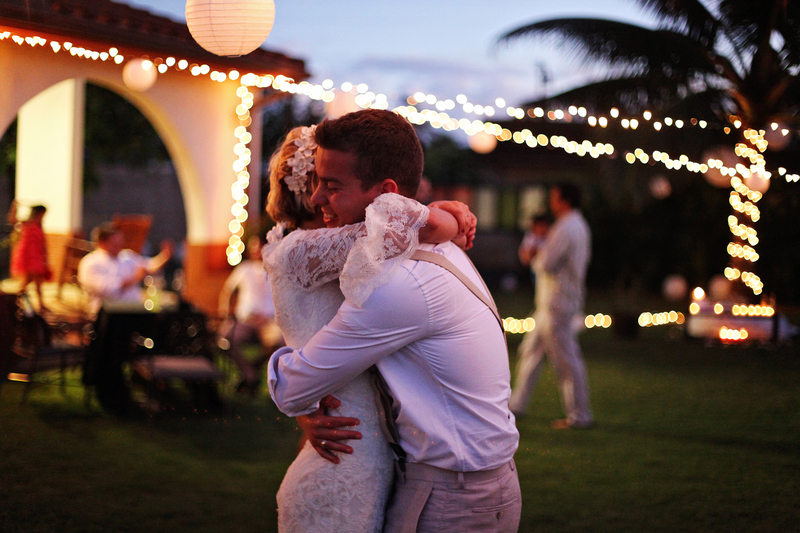 After searching for a day + a half straight, we found a place to call home!! 5. Joe + I BOTH survived solo driving in Korea and BOTH have witnessed wrecks on the daily. 8. Korean shopping markets don’t have heat. But I proudly conquered the market without looking like an idiot. 9. I have devised a detailed traveling plan for the next 2 years. We were then on the hunt for an apartment off base. Somehow we got wrangled in by some Korean citizen that works on base in Joe’s office to meet with his “friends” that were realtors. It all happened so fast + with the language barrier we didn’t know what was going on until it was too late. But we got to see 6 apartments around town that were all very.. Korean. I had no problem with the layout or size but I just didn’t love the styles or designs of any of them. Not to mention they all felt a tad beat up and dirty. Some of them were catered towards military families, so the kitchen would have the super fake, ugly wood cabinetry (think cheap college apartment style). Or they would have the cheap brassy fan/lighting in the bedrooms/living room. blah. (sorry not sorry if this offends anyone..) Plus the realtor dudes that were taking us around seemed slightly sketch.. So I convinced Joe to let me look for one more day with a different realtor that was recommended to us by a friend who is also here at Camp Hump. So began our journey with our first Korean friend, Helen. I could sing Helen’s praises all day! Helen picked us up, drove us around, made us feel so comfortable, + I could understand about 90% of what she said (score!). She took us to about 8 or 9 different apartments. For the fist 5, I would like some things but there was always one thing I just didn’t love. Finally, we walked into one + I fell in love! It was the first one I saw that didn’t have crazy patterned wall paper everywhere or tacky colors with asian flower print. And it was bright, the sun was streaming in + I felt like there were a million windows. That really sold me. Something about the place felt slightly like an ikea magazine (not everything though, I warn you..) Is it my dream place? No. Is it the best thing I saw out of the 15+ places we looked at? Yes. It’s a 4 bedroom/2 bathroom (so plenty big enough for all my wonderful friends who want to visit.. wink wink!) on the 3rd floor with a pretty decent view. Korean ovens are SO tiny, so no turkey or baked goods for us. The bathtubs are also small. I have a video tour I wanted to post below so you guys can see it better, but I can’t figure out how to upload it (any advice blogger/tech savvy people??) so for now I just have phone pics. We had to wait for an inspection + the army housing office to sign off on everything, but finally we moved out of the hotel on base after a 10 day stay + into our new Korean home! We then searched for a car. We were told to just get a little beater because we will inevitably get in a wreck + since there is so much dust + dirt here. We searched all over FB pages + all over base for something, anything (right now is low season for military moving in + out). I finally found a comment from some soldier dude with a phone number of a Korean car guy that has the “hook ups” (warning sign #1). So we called Mr. Chang. He came and picked us up (how nice I thought…) + told us he would take us to a used dealership that was close by. Little did we know this dealership was over THIRTY minutes away (it’s amazing we haven’t been kidnapped + held for ransom by rando strangers we meet). He then tried to sell us a 1996 Kia with over 175,000 miles on it for $2,500. In fact he forced us to test drive it.. on a very busy HIGHWAY with –OUT- him in the car. So Joe’s first driving experience in Korea was down a scary crowded road where he had to flip an illegal U-ie to get back to the dealership. Lots of screaming was involved. Then we laughed after we survived..good times haha. Mr. Chang tried his hardest to get us to buy the car, but we politely said no (praying he would still take us back to base as quickly as possible). Later that day we luckily found a Kia Optima with only 90,000 miles on it for less than Mr. Chang’s $2500. Done + done! Finally, I felt like we weren’t treading water anymore.. With unlimited data phones, a car, + a home we were dancing on top of the world. And we finally were making friends! A sweet couple that we connected with via FB group pages invited us over for yummy enchiladas + a game of ticket to ride (apparently Joe + I have never followed the correct rules.. sorry for any lives we ruined by telling you lies –aka Jami + Morgan). 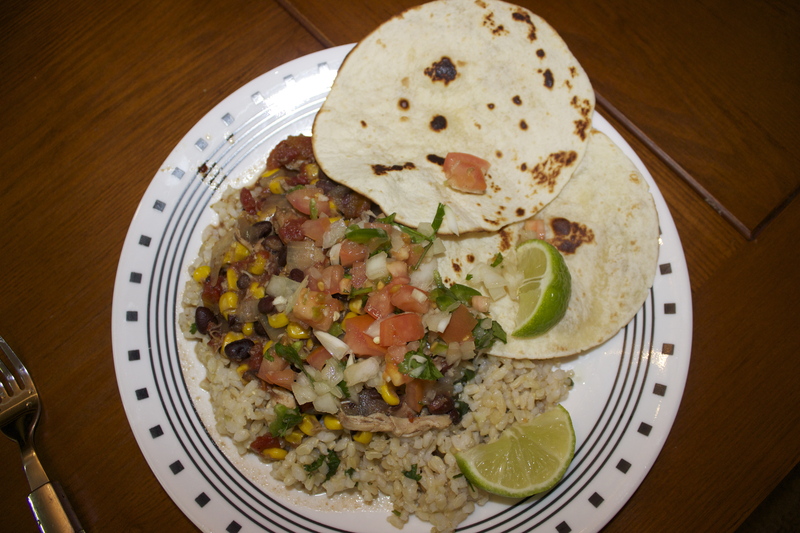 They even gave us the leftovers + their crockpot to use as we moved in (BLESS THEM!). We went home that night happy + sleepy, ready for our first night in our new place.. Then came the bed problem.. Our apartment came with a king sized bed/mattress, a KOREAN mattress to be specific. Just a little FYI- Korean mattresses are HARD AS ROCKS. We laid down in the dark + were silent for about 60 seconds before we both sat up laughing/crying at how hard the bed was. We then spent the next 30 minutes playing a game of “what is as hard as this mattress?” + “what do you wish this mattress was as soft as?” Top answers- the bed is as hard as: my boney shoulders, the edge of a stale pop tart, dried out tofu, stacked cardboard, a pallet on the floor minus the blankets to make the pallet, dried noodles on the side of a dirty pot, bamboo, a month old french fry found in your car. Top answers- we wish the bed was as soft as: a pool float, spongy fresh tofu, sticky rice, cotton candy, a pallet on the floor with blankets, mashed potatoes, cotton balls. Finally, we managed to laugh ourselves to sleep + the very next day ran to the PX (think giant Army walgreens plus clothes + lots of electronics.. maybe a kmart?) + bought a mattress pad that helped our poor backs. So that being said, all of our things we had in storage should be arriving in the next 20-30 days.. fingers crossed! Church went swimmingly, of course. Anytime you find a big group of Americans in a foreign country that invite you to dinner with out even knowing your name, it’s gonna go well. We are in a congregation of about 100 members of all different shapes + sizes. I’m excited to get more involved + have already been recruited by the district relief society presidency (aka 4 unpaid women that are partly in charge of all of South Korea’s mormon military branches’ vitality & welfare) to teach a make up class in Seoul for an upcoming relief society activity. So any advice from anyone about how to teach a class + what info I should include about makeup, please please drop me a line! We have felt so loved + welcomed since being here… Ever feel lonely? 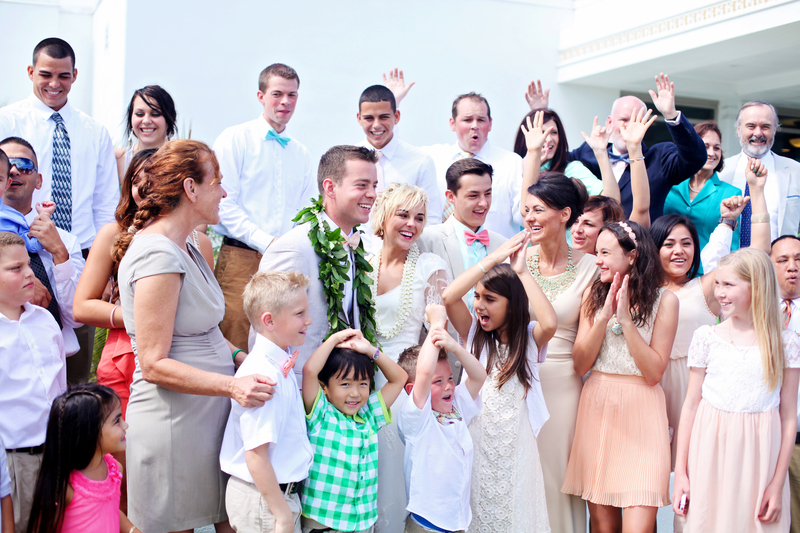 My advice, find a church (I obviously recommend a Mormon church) + count your blessings. You’ll feel the love in no time. Speaking of friends + love, Helen (our cute Korean realtor) has dropped by unexpectedly to make sure we are doing well. Each time she brings a treat with her. 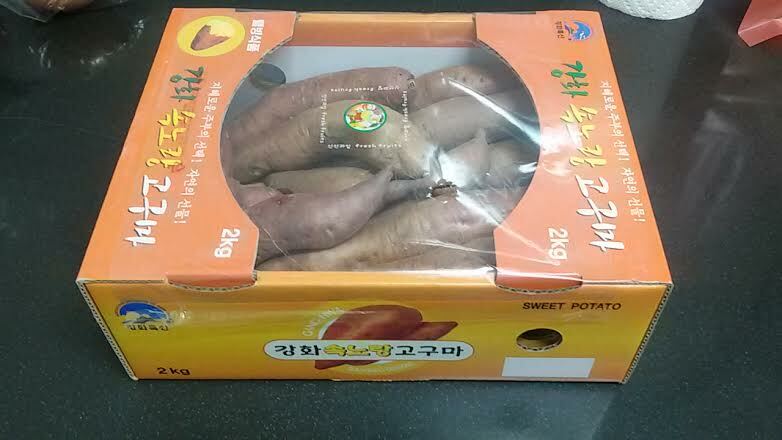 First, Korean sweet potatoes.. And by Korean, I mean the box is in written in Korean, otherwise they taste the same HA. The day we signed our lease she bought us a pizza for lunch, as we looked at the menu we noticed they had “sweet potato pizza”. We asked Helen what that was like, “good” was the answer we got. I guess by us inquiring about the pizza, she assumed we liked sweet potatoes (which we do!) so she bought us some yummy sweet potatoes. Then, even though neither Joe nor I, were home, Helen popped in, dropped off our new microwave + left a jar of unknown red spicy substance on the counter (she also turned our heat off for us.. Koreans have NO problem stopping in unannounced + walking into every room.. even when you have dirty laundry lying around) Gotta love Helen… Luckily the realtor you go with is also your landlord of sorts. Since they usually speak pretty decent english, you go to them for everything + pay rent through them.. So we will be seeing lots of Helen over the next few years haha. She did her best to show us how to work the heat (which is run by hot water pipes underneath the floor.. I LOVE IT.) + how to operate the Korean washing machine. I thought I could handle it all until I did our first load of laundry. Everything was going well, I threw the load into the dryer + then went to add an extra spin cycle on the washing machine since our laundry room has no heat + the left over water will freeze if left in the machine (Helen was ADAMANT that I always do the extra spin cycle). So I hit the button I thought would do the extra spin cycle.. Nope. The machine started filling with more water. NO! NO! NO! To make a long story short, I spent the next 10 min hitting buttons only to get frustrated. I frantically tried to think of what to do next so I wouldn’t have to call Helen + admit defeat. I thought of Joe’s friend Matt who speaks Korean.. I’ll get him to translate for me, I decided. Then realized he was a guy + probably wouldn’t know even if I asked him. Then I went with plan C, that should have been plan A- GOOGLE. I literally googled “korean washing machine translation”. I found an article that showed Korean words equal to English words. Cool. I matched up the strange characters on my washing machine hit the button, pressed start, + waited as it began to beep at me strangely.. WHAT IS THE DEAL!?! I then realized the top was not closed. WOW. Dumb blonde moment to the max. After 10 min, the water was gone + I had conquered laundry for the first time in Korean. Oh + our travel plans? We want to hit Japan, Bali, India, Thailand/Cambodia, China, the Maldives, Australia/New Zealand. If any of you have tips or recommendations please, PLEASE tell us! Or if you have suggestions for other places we should hit while we are on this side of the world, let me know! And if you want to coordinate a trip together to one of the above countries, then by all means, LET US KNOW! PPS- I have not received my gas mask yet, but it will be coming soon! Pics to follow. 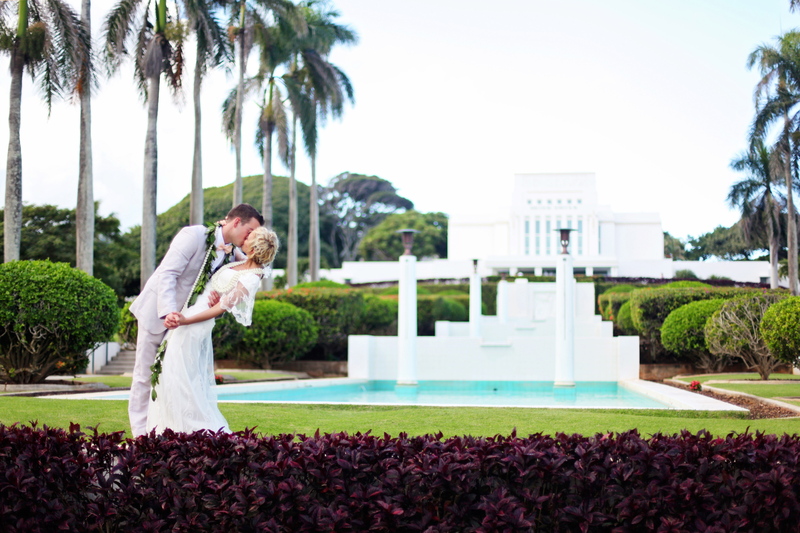 PPPS- Today marks one year married for Joe + I. Just thought i’d gush a little bit 🙂 I’m one lucky dame to be married to my hunky, hilarious, + pure hearted best friend. What a wild + crazy journey it’s been thus far, can’t wait for the adventure to continue!! Foyer, living room, opening to kitchen/dining area. Oh + Helen! Kitchen! Clean, simple monochromatic color scheme.. my favorite! Note the teeny tiny oven! View from the kitchen into living room. Yup, that’s a real fireplace! And Joe + Helen. Our bedroom complete with a very hard Korean mattress, brand-new tv, + bay window. 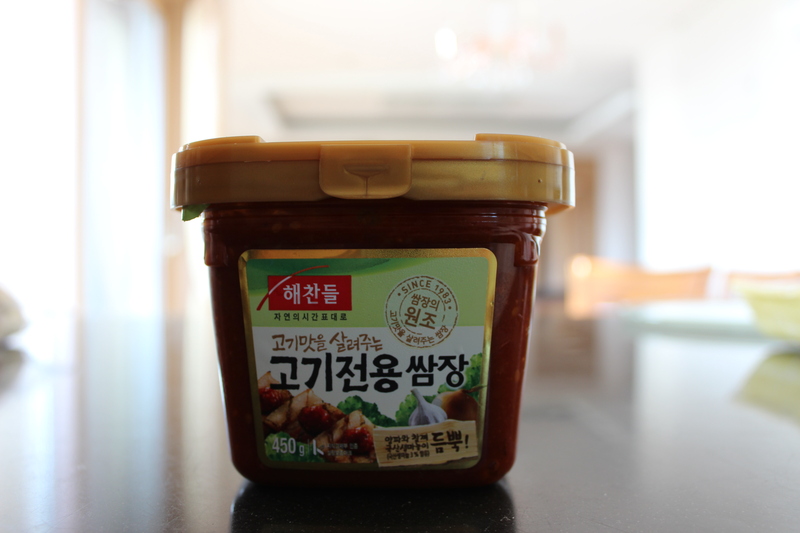 Spicy Korean paste Helen gifted us! Korean pastries.. some were terrible, one was DELICIOUS. It was called a honey steam cake. Kind of like a combination between angel food cake + pound cake but much silkier with an amaretto flavor. 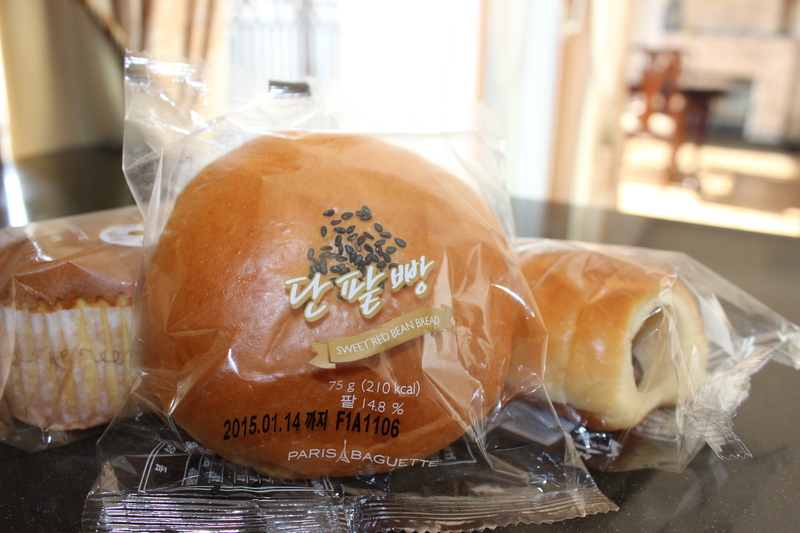 And of course, Helen’s gift of korean sweet potatoes. So adorably packaged. Okay so I got a little gushy here.. But in honor of our anniversary I threw in some pics from our day. Embrace the cheesiness and enjoy the video at the end! Your K-Swiss apartment is beautiful! You are a brave soul moving to a foreign country! I’m excited to see how you do and all the pictures of your travels! Yes definitely get excited, this place is cool… crazy, but cool. Since it’s so first world it feels pretty Americanized in some ways, but that could be because I live right next to an army base haha. Definitely shoot me a message if you have any questions, anything from traffic questions to what type of trash bags you have to use; I should have the answer! Do you know what area of Korea you’ll be in yet? i’m not 100% sure, they’ve told me the gyongbuk province, which includes daegu and the area to the north/east. its the largest province in south korea, so its still not terribly specific where i’ll be. i won’t know for sure where i’ll be or what age kids i’ll be teaching until i’m out there, haha. but i’ll be landing on feb 18th which is coming up so fast!! Vanessa, I am so happy for you! What an adventure for you 😊! Happy anniversary! Your site’s theme looks not proffesional. You schould change it. Your grammar is not professional. You should change it.